October 15, 2017 / Practice / by admin / Comments Off on What is an LPNs Scope of Practice? 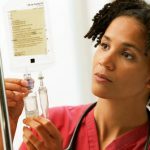 If you are an IV certified LPN then you can administer IV medication under certain circumstances. The situation in which you can administer IV medication is one where the self contained administration unit has been assembled by a pharmacist or an RN. If you are not IV certified or if these self contained administration unit has not been previously assembled by a professional health care administrator then you will not be allowed or able to administer IV medication as an LPN nurse. Tasks will be delegated to you by an RN. There are a certain set of rules and guidelines that RNs must follow when delegating tasks to you. Make sure that you are aware of these guidelines as you will also be held responsible should you perform a task delegated to you that you are not allowed to perform. An LPN has no powers of delegation. If an LPN is unable or unwilling to perform a task, then they are not obligated to do so and no delegation takes place. As an LPN you can perform an EKG but you are not permitted to interpret the results. You are simply required to administer the procedure and observe and record the results which will then be interpreted by a qualified entity. LPNs are permitted to draw blood directly from the venous system. As an LPN you must be supervised and directed at all times. This supervision can come from a registered nurse, advanced registered nurse practitioner, a dentist or a physician. 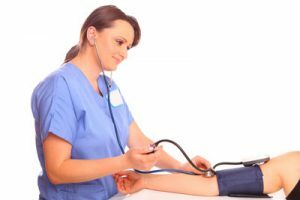 This is because the skill set that you will have as an LPN is limited and you will not have the necessary knowledge required to perform many of the tasks on your own. Although an LPN is not allowed to decide on patient care alone, they are able to contribute to the assessment, planning and implementation of this care. RNs hold the power to determine a plan of care for a patient and LPNs are unable to make decisions on their own in this regard. The task must be properly delegated by the registered nurse, advanced registered nurse practitioner, a dentist or a physician to whom the LPN reports. If additional LPN training or competency is required in order to perform a delegated task, this is provided to them. The task must NOT be one that has been declared to be outside the LPN scope of practice by the Board of Nursing. Policy and procedure must allow for the task to be performed. Define the task: The first step is to make sure that you understand the task that has been delegated to you in great detail. Make sure that you clarify everything about the task or problem that you are not sure about. Also assess your own skills. If you feel that you are not in fact able to perform the task then raise this problem with your supervisor. Review laws: There are guidelines about what an LPN is and is not allowed to do. 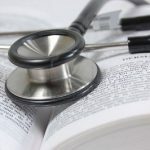 If you have been given a task that you are unsure about, review these laws and standards to see whether or not the task falls within your LPN scope of practice. Make the decision: Once you have ascertained all of the above you will then be in a position to either accept or refuse the task. 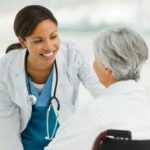 Because you will have the option of one day becoming an RN once you have your LPN qualification it may interest you to know how the scopes of practice differ for each position. Assessment The scope of practice for LPN nurses includes observing patient data according to a list of set rules that they must follow unconditionally. Any abnormal findings that they observe must be reported to an RN. An LPN cannot perform a complete and exhaustive physical assessment. LPNs can suggest interventions but cannot implement them unless instructed and supervised. An RN can deal with abnormal observations in a patient and can perform a complete and exhaustive physical assessment. RNs are better skilled at understanding a patient’s condition due to their more advanced training. RNs have the freedom to implement necessary interventions. Planning An LPN cannot create a plan of care for a patient. There are no situations in which an LPN will be allowed to create a plan of care for a patient. However, they can make recommendations and suggestions to the RN and thereby contribute to the process. An RN can create a plan of care for a patient. Implementation Part of the LPN scope of practice involves performing routine and non-invasive procedures and tasks related to patient care. The basic responsibilities of an LPN include assisting with bathing, grooming, eating, dressing, walking, and giving oral medication and taking vital signs. LPNs can administer tablets to patients. 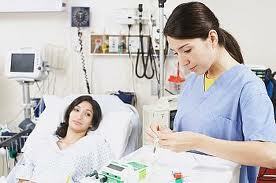 LPNS are permitted to care for patients who are in a stable condition. An RN can do everything that an LPN does. However, they are also responsible for more complex and advanced tasks such as administering tube feedings (something that an LPN cannot do because of its complexity even though it technically forms part of a daily feeding routine). 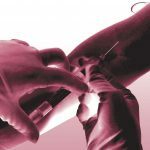 RNs can administer tablets to patients, but on top of that they can also administer injectable drugs, something that an LPN is not allowed to do. RNs are permitted to care for patients that are in both stable and unstable conditions. Delegation When it comes to implementation LPNs may perform certain tasks under the supervision of an RN. LPNs and RNs are both accountable for their own actions when assigning and when being assigned a task. RNs are able to assign tasks to LPNs. These tasks have to meet criteria and follow rules (in other words, LPNs are not expected to respond to an RNs every beck and call or to serve as a servant). Certain tasks cannot be delegated as LPNs are not allowed to do them. However when it comes to implementation LPNs may perform certain tasks under the supervision of an RN. LPNs and RNs are both accountable for their own actions when assigning and when being assigned a task. Evaluation and Documentation Both LPNs and RNs are responsible for evaluating and documenting patient care. LPNs focus more on specific results which they report and record. Both LPNs and RNs are responsible for evaluating and documenting patient care. RNs focus more on the overall picture presented by the observed data. Patient Teaching LPNs may not become involved in teaching patients, although in some cases they can engage in basic teaching procedures under very specific guidelines. An LPN can for example teach a patient to do motion exercises. RNs have the sole responsibility when it comes to teaching patients. An RN can for example teach a patient how to change their dressing.